Late Friday, Google tried to quietly announce, in a transparent way, a new factor to be added to Google's search quality signals. 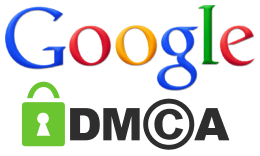 The new factor is DMCA requests, where Google will look to lower the rankings of sites with many many valid DMCA takedown requests in the search results. I posted about this on Friday at Search Engine Land and Danny renamed the update to The Emanuel update as a tribute to how Google is trying to hve goodwill with Hollywood. In any event, from my understanding of this new factor, it will only impact the top top violators and not impact those with just a few or even hundreds. It really seems to be targeting the top tier of sites that get these notifications. The algorithm has not yet launched yet, so it is hard to tell if that will be in fact true, but that is the impression I am getting from Google. We will begin taking into account a new signal in our rankings: the number of valid copyright removal notices we receive for any given site. Sites with high numbers of removal notices may appear lower in our results. This ranking change should help users find legitimate, quality sources of content more easily - whether it’s a song previewed on NPR’s music website, a TV show on Hulu or new music streamed from Spotify. Danny has written about this extensively since the topic of how with this impact YouTube or Blogger has been brought up. Yes, Google owns both and both would receive tons of DMCA requests because of the nature of the web site. Danny spoke with Google about that concern and he wrote Google: Many Popular Sites Will Escape Pirate Penalty, Not Just YouTube. Of course, SEOs and webmasters are concerned. Whenever a new algorithm is pushed out, there is reason for concern. If you want to join those asking questions and express your concern, hit the forums. But I honestly believe most webmasters won't see anything from this. I'd be surprised if this impacted more than 1,000 web sites on the web. I would not be surprised if this lead to a new SEO service for reporting DMCA takedowns at a high high level.